One of the highlights of this year's Bruce Campbell Horror Film Festival is now available for everyone to see. 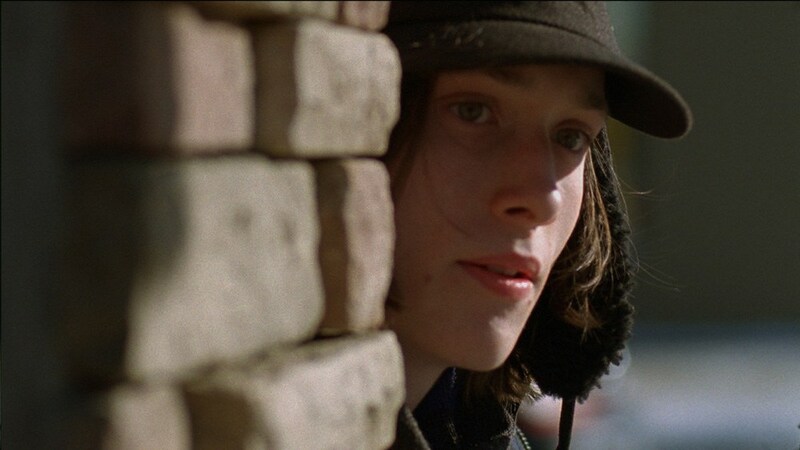 Existing at the crossroads between Let the Right One In and Under the Skin, director Billy O’Brien’s new film I Am Not a Serial Killer is a coming-of-age horror movie about what it means to be human. This is the kind of movie about which the less is said the better, making it difficult to summarize its plot and even, in some cases, to argue for its strengths. So much of what O’Brien does right is in the service of the movie’s themes, which it would be unfair to fully reveal in a review. That can make talking about the film in any detailed way a challenge, but I can at least say this: it is a movie you absolutely have to see. Take my word for it. Based on Dan Wells’ 2009 novel of the same name, I Am Not a Serial Killer stars Max Records (of Where the Wild Things Are) as John Wayne Cleaver, a high schooler clinically diagnosed as a sociopath who has to work every day from giving into the impulses that he knows could one day turn him into a killer. When a series of murders takes place in his small town—each with a different body part missing, presumably kept as a trophy—John launches his own investigation into the killer’s identity. What he learns may surprise him. 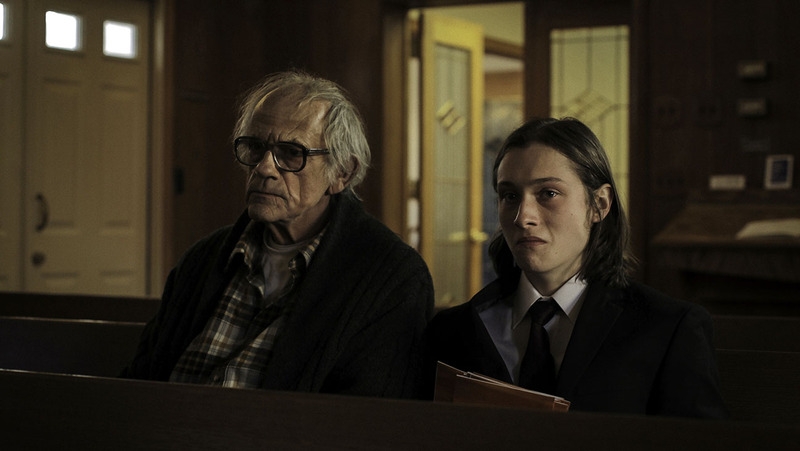 Following the film’s reception at SXSW this year, the performance by Christopher Lloyd as John’s amiable, elderly neighbor was being praised as his career best. That’s a bold claim when speaking about the same guy who gave us both Reverend Jim and Doctor Emmett Brown, but there’s certainly an argument to be made for his work here: he’s sweet and sensitive, scary and sad in equal measure. Equally good, however, is Max Records, who hasn’t made a ton of movies, but who has demonstrated each time out that he’s one of the best young actors of his age group. The trick of Records’ great performance is that he’s able to convey just what is being felt by a character who is, by all accounts, dead inside. He’s a kid faking his way through life to avoid standing out as something “other”—a human who has to pretend at being human. In every scene, Records lets the audience see behind the eyes of a young man who supposedly has nothing behind his eyes. It’s an incredible piece of acting. I’ve had to talk around a lot of what makes I Am Not a Serial Killer great for fear of spoiling its secrets. Hopefully, though, I’ve still conveyed just what a strong film this is. Gorgeously constructed, expertly acted, and consistently surprising, the movie manages to spin a tale of sociopaths and murder into something genuinely moving and resonant. 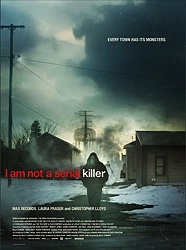 I Am Not a Serial Killer is receiving a limited theatrical release from IFC Midnight and is now available on iTunes and VOD streaming platforms. Don’t let it pass you by. This is one of the best movies of the year. Although I agree that the acting is great and it's really well done, for some reason I just thought it was okay. Something just didn't connect with me and I'm not sure what it was. People should definitely see it though. I agree Chaybee, I also thought it was just ok. I thought it started off super strong and interesting but when the main story started to unfold I became way less interested and thought it became kinda tedious. I just didn't think the movie really paid off all the stuff it set up in the beginning with its main character. Also why would a mother have her son work with a bunch of dead bodies if he is showing all these signs of mental illness? I couldn't really get passed that. I also think everyone should see it because the slow moody movie it becomes might really work for some people. I think we're about on the same page. However, I think there's one moment early where the movie will either lose you or make you like it more, and personally it made me like it more. That one scene makes the movie worth seeing by everyone in my opinion. Hey funny that you loved The Witch and Patrick didn't and now Patrick loves this and you didn't because they're both pretty much my favourites of the year so far. Apparently I'm like the best of both of you when it comes to my taste in horror. Patbee? Chaytrick? I did not like the last 5 minutes, I would of been happier without that final reveal, its a fantastic piece of work, its probably just me but the reveal and the long lingering look at it just rubbed me the wrong way, I don't like CGI so maybe I reacted to the shot the same way as I did with Crimson peak and the long drawn out CGI stuff, I'm not sure! I only just saw it so I probably need to sit on it some more. I kind of agree, Dennis. I liked the idea but not so much the execution. So I liked the movie more than most of you, obviously, but I completely agree with Dennis' point. I had the same reaction even as the movie was unfolding. Hmm, the disparate opinions here make me want to see it even more. On a side note if Christopher Lloyd replaced Bruce Dern in Nebraska it'd be one of my favorite movies. The same maybe for The Silence Of The Lambs as Lecter. And Dern again in Silent Running. Even Cool Runnings. Dern it I'm just a big Christopher Lloyd fan. I really loved this movie - it grabbed me and just felt like something special from the start. I thought it had kind of a Canadian feel which makes sense as it's an Irish production made in Minnesota and Canada is pretty much a mashup of those two places. I loved the idea and the performances - hard not to compare it to Dexter but I thought Max Records' character and the people around him were far more nuanced and interesting. Loved it so much that (spoilery material ahead) I'm willing to forgive those last five minutes. I think the movie would have finished better if it had've stuck to some ambiguity - it's almost like the filmmakers didn't have enough confidence in what had come before and felt like they needed to hit us with more conventional horror at the end (which has worked before - e.g. Kill List) - it doesn't quite work and was totally unnecessary but it far from ruins it for me. This is up there with The Witch in my favourite movies of the year. It seems like it was fairly independent so I'm not sure if that kind of influence was there or not but it definitely felt that way to me too.